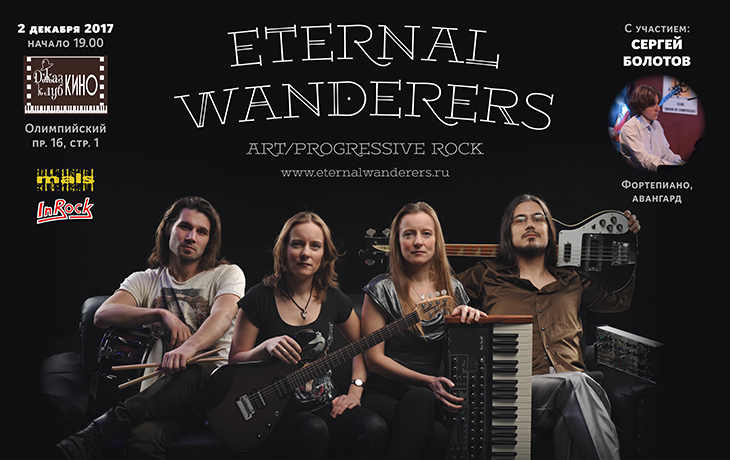 2 Dec Eternal Wanderers will perform in Moscow club “Kino” with the updated program, which includes not only art rock, but also electronics, ethnics and even pop. In the interval pianist Sergey Bolotov (avant-garde) will perform. Looking forward to seeing you! Tickets – from 300 rubles. 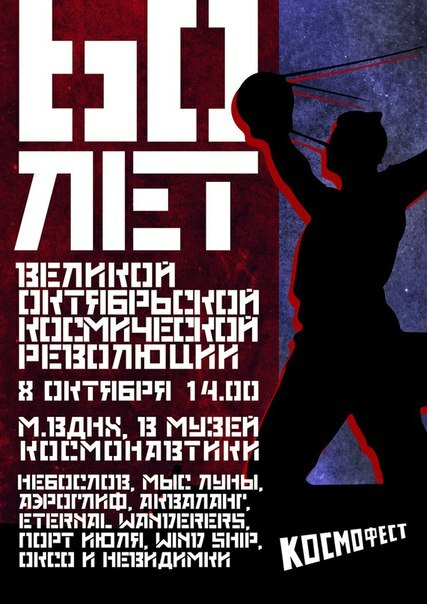 KOSMOFEST AT t he MUSEUM of COSMONAUTICS in commemoration of the 60th anniversary of the great October Space Revolution!!! 60 years ago something happened that never was before. The rocket built by the human hands of people, overcoming the earth’s gravity, rushed into space, and then people heard sounds coming from the orbit. “PI-PI-PI-PI…” – sounded from the orbit. People clung to the radio, listening to the sky, young men were calling for girls to search for a moving star in the night sky (by the way, after such “satellite” nights families were created and even the children were born). Fathers urgently learned the constellations not to lose their credibility. And even in the distant Namib desert Bushmen cut a new petroglyph on the stones. 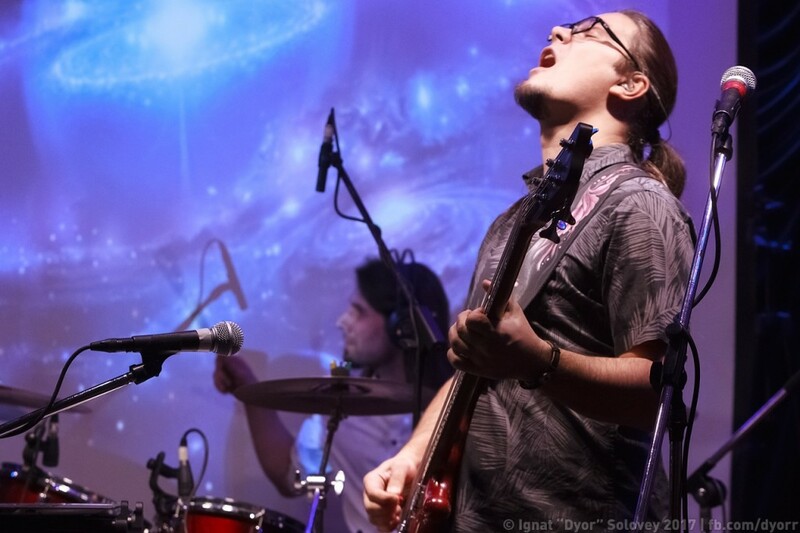 On October 8, Sunday, the 60th anniversary of the beginning of the space age will be celebrated in the Museum of Cosmonautics by the bands “Neboslov”, “Cape moon”, “Ieroglif”, “Eternal Wanderers”, “Aqualung”, “Port of Juky”, “Oxo and Invisible”, “Wind Ship”. In addition, at the festival will perform a number of poets with their poems of space: Svetlana Chernova, Anastasia Lukomsky, Olga Komissarova, Kristina Usova etc. Photos from EW’s performance on September 7th 2017 in Glastonberry club, Moscow. Presenting the song “Born To Suffer” – the official video from the presentation of the album “The Mystery Of The Cosmic Sorrow”, June 3, 2016. Enjoy! 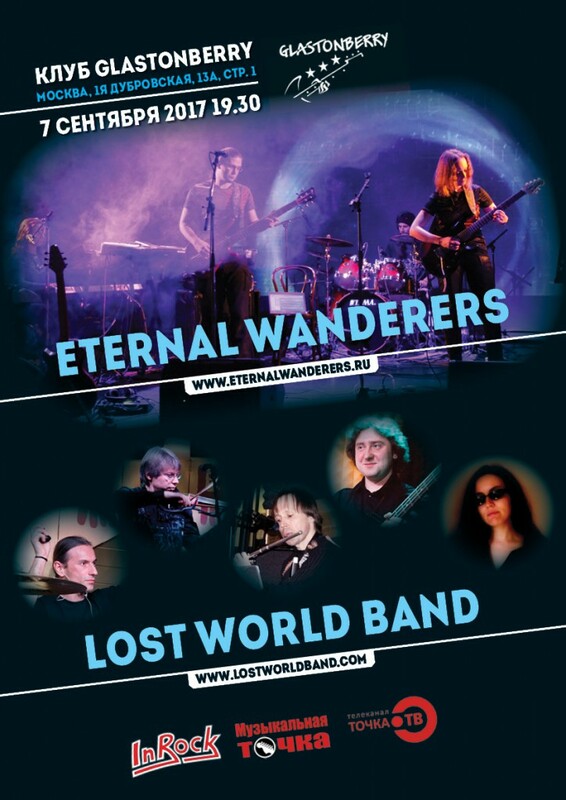 Eternal Wanderers and Lost World Band will meet again on September 7, 2017. 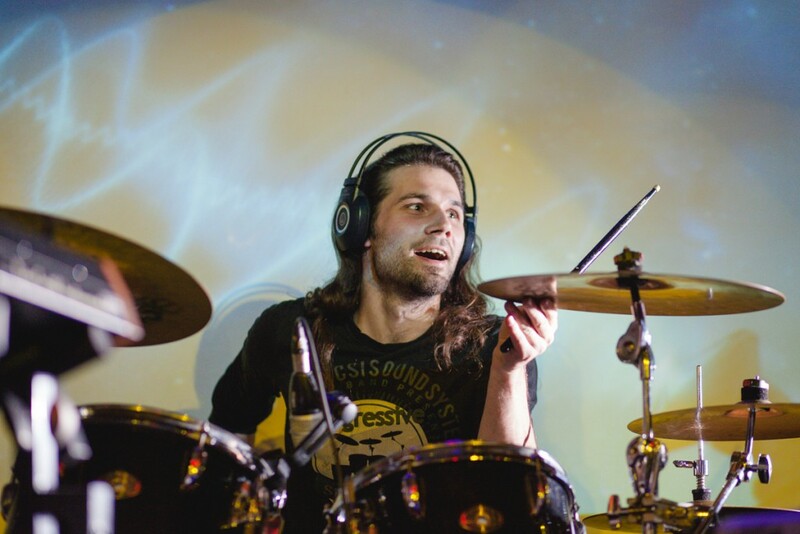 This time the gig will be held at Glastonberry club (Moscow, 1st Dubrovskaya St, 13A, p. 1).